Liverpool ready to sell midfielder in the summer? Liverpool midfielder Naby Keita has been linked with a move away from the club in the upcoming summer transfer window, it has been claimed. The 24-year-old, who joined the Reds from RB Leipzig at the start of the season, is yet to find his feet in England. Keita has thus far failed to score for Liverpool and has managed just a single assist in 27 appearances in all competitions for the Premier League giants. A return to Germany has been mooted, with Borussia Dortmund and Bayern Munich reportedly interested in the Guinean, who was a red-hot property in the Bundesliga during his time at RB Leipzig. Real Madrid boss Zinedine Zidane has brushed aside rumours linking Marco Asensio with a move away from the club at the end of the season, amidst interest from Liverpool. The Reds have been linked with a move for the Spaniard, who has not been a regular starter for Los Blancos this season. It was reported that the Real Madrid hierarchy were not against the idea of selling Asensio as they could have reinvested the money received from his transfer to strengthen their squad. However, Zidane, who returned as the head coach of Real Madrid earlier in the month, considers Asensio to be an integral part of his team. “I have spoken to him and told him that he will be fundamental to the team,” he told Spanish daily Marca. Real Madrid are interested in Liverpool forward Sadio Mane, according to reports in Spain. The Senegal international has been in scintillating form for the Reds in the current campaign, netting 20 goals in all competitions. He is currently Liverpool’s leading goalscorer this season alongside Mohamed Salah, with the duo scoring 20 goals each. 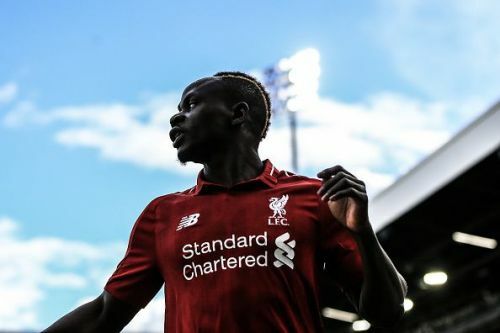 But it has been reported that Real Madrid could make a move for Mane in the upcoming summer transfer window. Los Blancos boss Zinedine Zidane is a firm admirer of the former Southampton man and wants him in his team next season.